Today's review is an exciting one! I've been wanting to get some wooden letters for our new place, and I finally found the perfect place to get them. Whimsical Nimsicle decoupaged and painted some wooden letters for me in papers of my choice, and I also got some other goodies from their store! 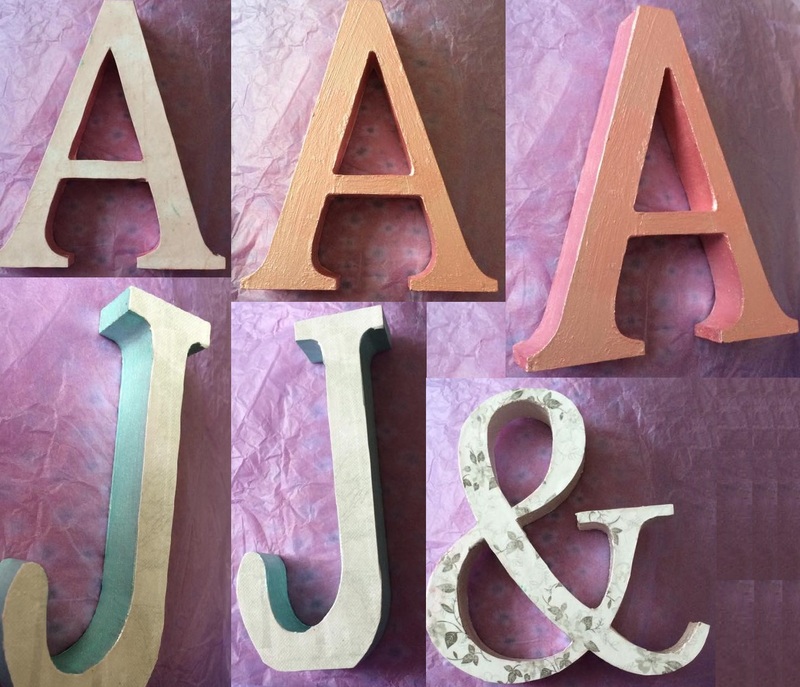 I got A & J (Abbi and James) decoupaged with pretty paper and painted with metallic paint on the sides and back. They've been varnished as well so I can tell that they'll hold up. I love them! They will look so pretty on my mantle piece. I also picked up these cute crochet flower coasters. They are so pretty and in gorgeous colours. I'm in love with these, they're so precious. They came packaged so cute as well, in a little bundle secured with cute lace effect ribbon. This little guy was in my package too! It's a little crochet owl book mark perched on a twig. This is so cute, I do a lot of reading and this will be so nice to use. It's really well made too - I wish I could craft like this. 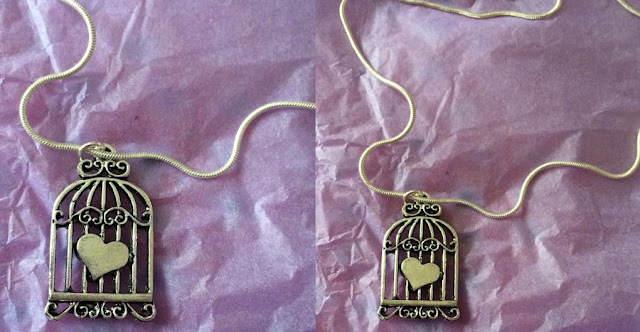 The last thing that I picked up was this birdcage necklace with a little heart in the middle. I think that birdcages are so cute so I'm in love with this. The little heart really sets it off too. I can't wait to wear this! Check out Whimsical Nimsicle for cute handmade home accessories, jewellery etc. The items are amazing quality and they're packaged really cute as well.